Welcome to the High Noon Saloon the roughest watering hole west of the Mississippi. A place where no slight goes unanswered and no fight stays private. Get ready to dodge bullets, grab you trusty six-shooter, and head for cover cause these seasoned settlers are ready to Call You Out! We here at SFG are working hard to get our second game of 2011 out in time for the holiday season. 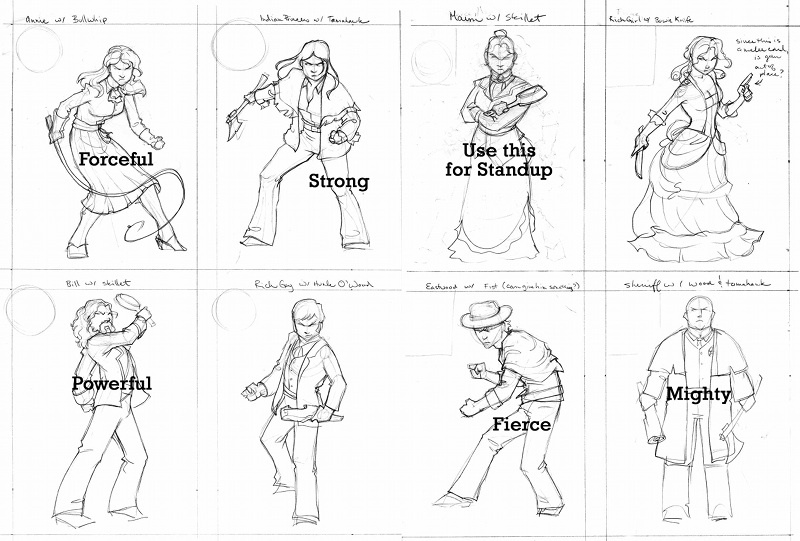 Here is some production art for our next board game: High Noon Saloon. In High Noon Saloon you will be moving around an iconic saloon admits a no holds-barred brawl, scrounging for weapons and trying to get the drop on your opponents without leaving your tail too far out in the open.